Had a weekend off and went to PAW (Plymouth Association of Wargamers). Please check out this show next year if you get a chance as it has a really nice feel to it. Small but very friendly and like Exeter (Legionary) has a good venue with FREE parking. Traders are a little thin on the ground compared to larger shows but there is a good spread. The bring and buy was a haven for 40k fans but very lacking for historical fans which meant that although I bought little the items I had to sell went quickly. Met up with a few friends at the show and played a game. 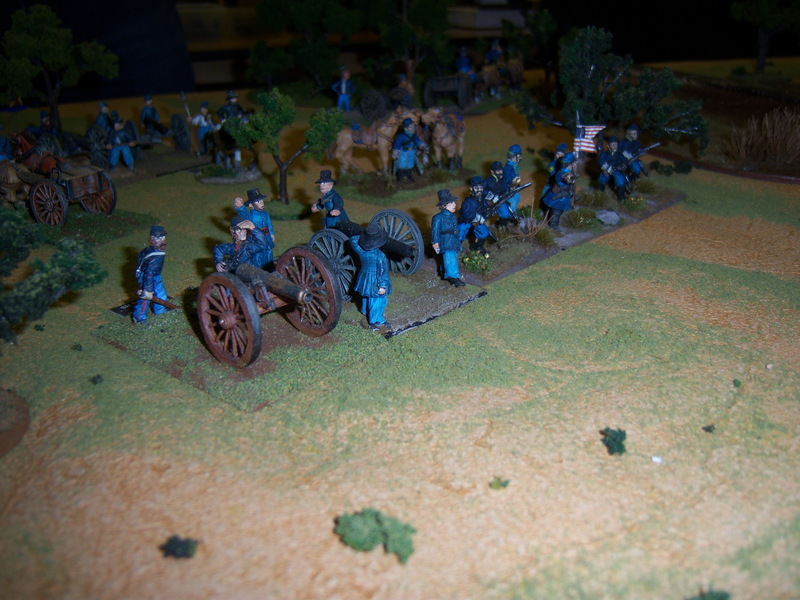 We played an era that I have never played before, American Civil War. Everyone else had played this era many times before. That said they had all played Fire and Fury but this time we were playing the Regimental version. Following a quick chat I seemed to become umpire. This gave me the opportunity the get a great overview of the rules and I have to say I am very impressed. 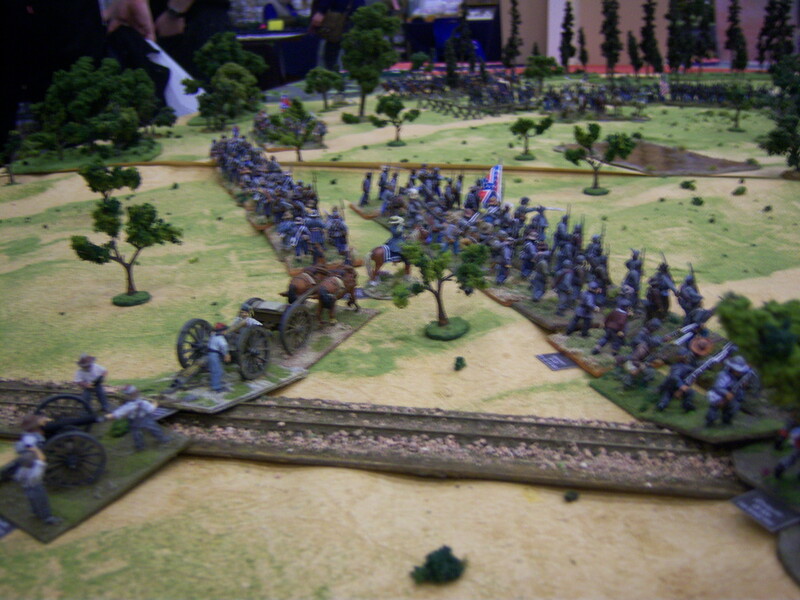 the figure were 28mm and from a mixture of manufacturers including Perry, Foundry and Dixon. I enjoyed the game so much that maybe ACW will be another era I might drop into! This turned out to be the only battle fought in Florida. It came about due to the Confederate loss of Vickesburg and Port Hudson during 1963 and their need to secure alternative suppliers of Beef. 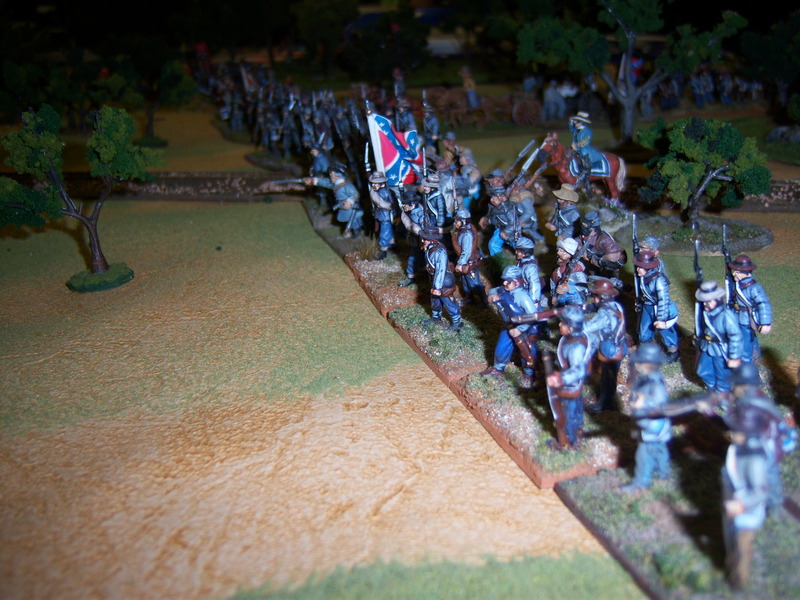 Union forces landed at Jacksonville on Feb 7th and started to advance Westward facing at worse screening troops belonging to Confederate Brig General Joseph Finnegan. 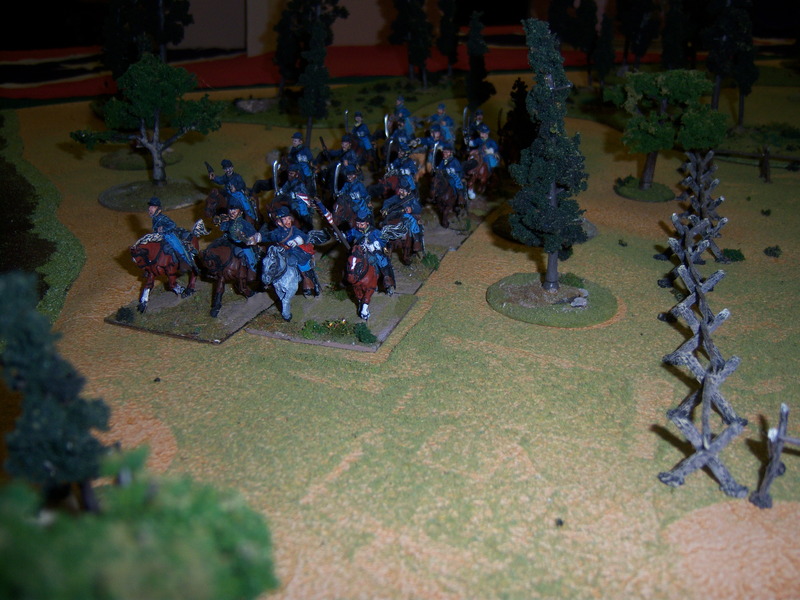 The battle was fought largely in a clearing in an area of light woods with marsh/bog alongside railway lines. 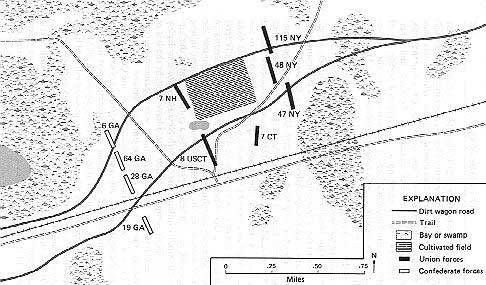 The Confederates were dug in near Lake City and attempted to draw the Union into attacking them through the use of cavalry. This failed. Growing impatient the Confederates finally decided to attack, both sides fed more and more troops into the growing battle. 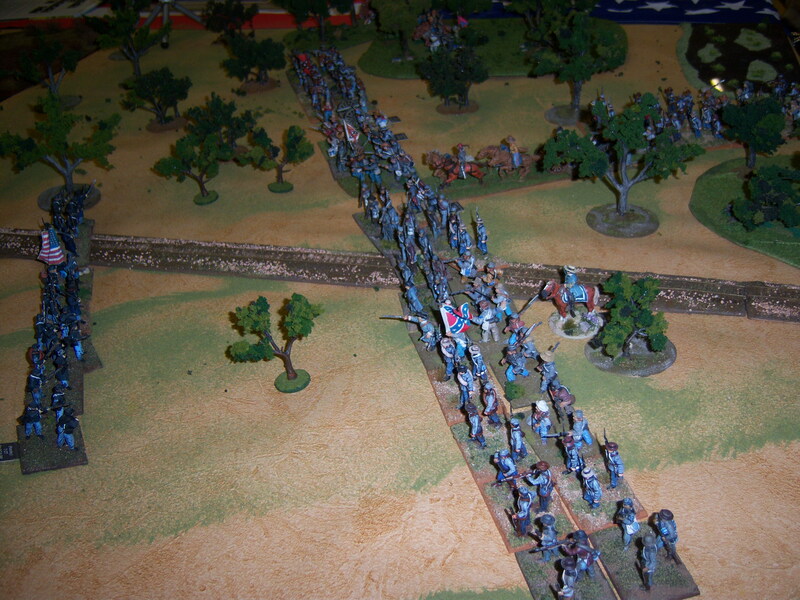 Finally the Union broke, not stopping their retreat until they reached Jacksonville. 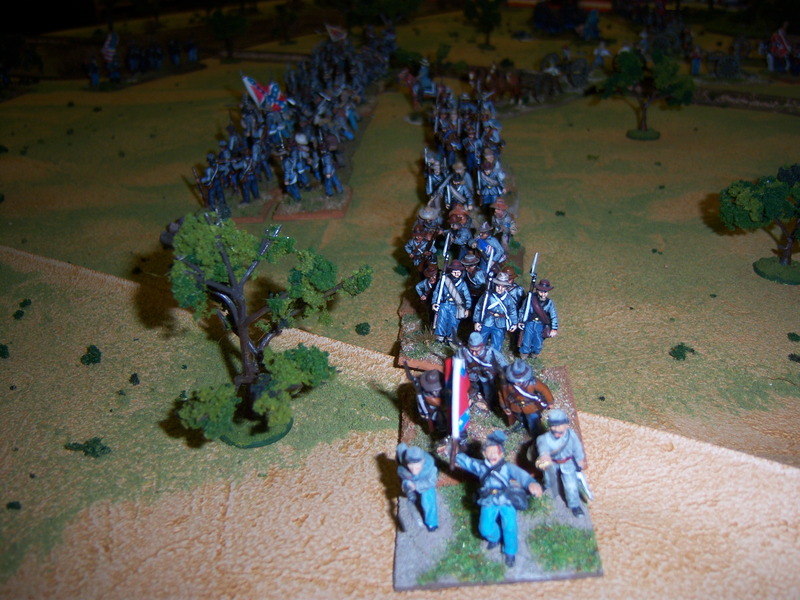 I have to admit that during Saturday the game played out very much like the historical version. 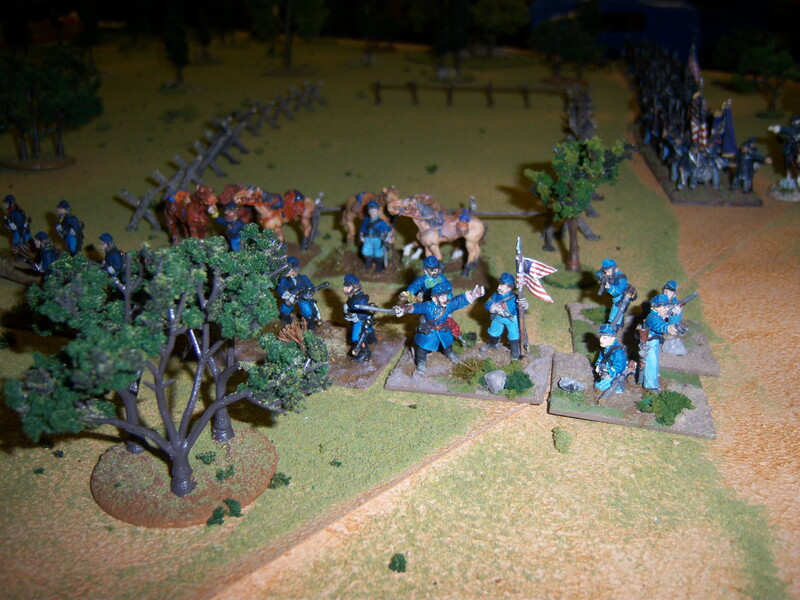 The union were unable to hold up the massed units of confederates and most of the union troops failed their morale and started to withdraw only to be rallied and feedback into the affray. Sunday started with the Union centre holding and reinforcements coming to their aid. 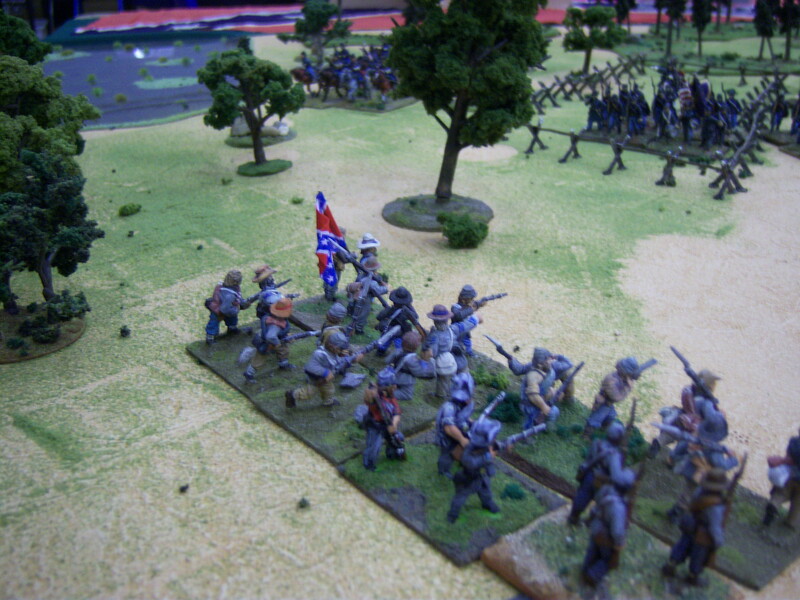 The Union left was isolated and slowly swamped by the Confederates. 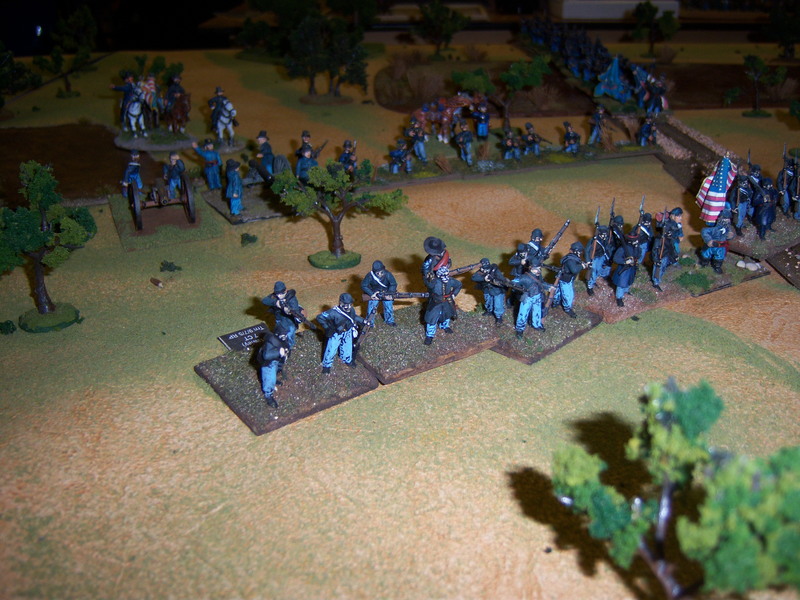 The battle ebbed and flowed all day with no clear winner and so the game was declared a draw. Below are a few shots of the game. 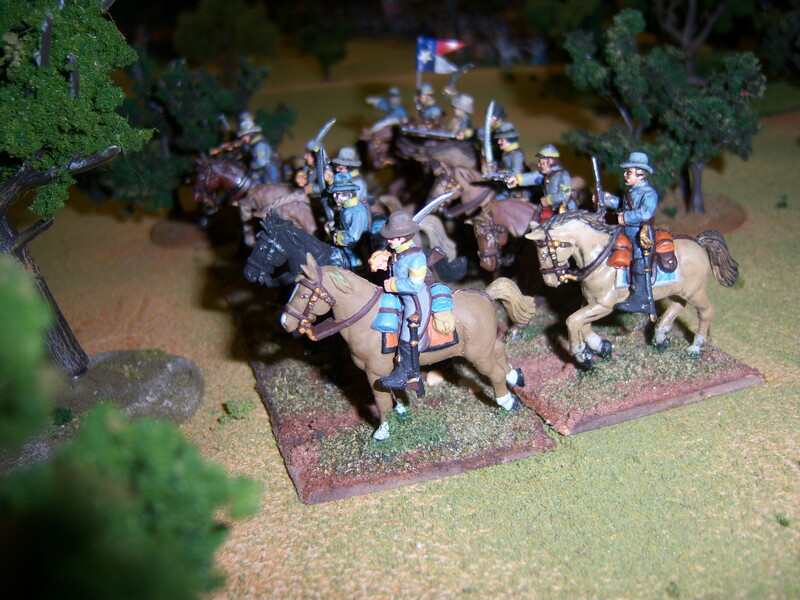 Confederate cavalry. These met their end in a vain attempt to break the Union centre. 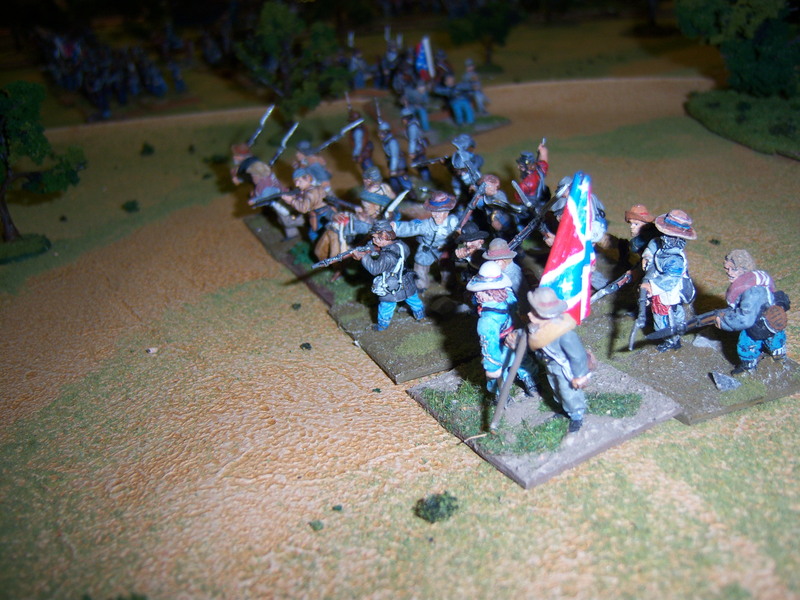 Massed Confederate troops dwarf the Union opposite. Union reinforcement setting up in the middle of the field.